"When I visit my local Joann's or Michaels Crafts Stores, I take the time to scour each department. You would be amazed at what materials you might find in the most unlikely departments. 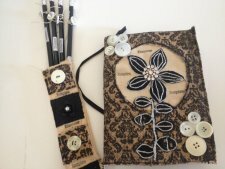 As manufacturer's strive to offer unique materials to scrapbook artists, beaders and sewing enthusiasts, you find more and more cross promotion of materials than ever before. "When I ran into this 12 x 12 sheet of "paper," in the scrapbooking materials section. 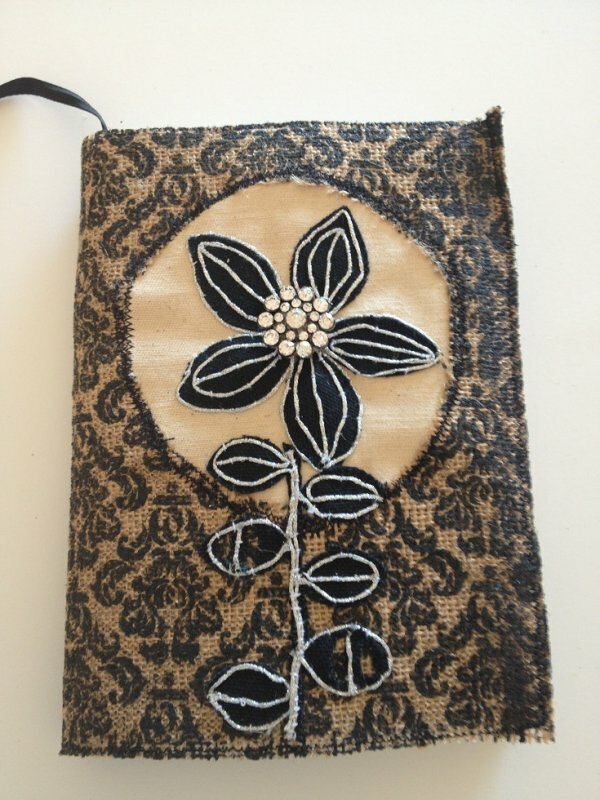 I was amazed to discover that it was not in fact paper at all, but burlap, printed with a damask motif. I was immediately inspired and bought not one but two sheets. 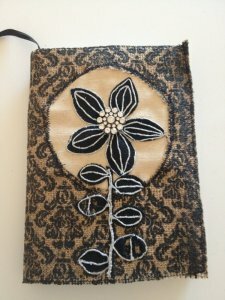 Wondering what to do with it, I decided to cover a favorite hard bound journal that looked a little worse for wear."